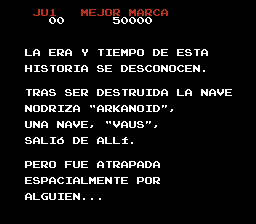 Escaped from a doomed mothership, you control the Vault, a spaceship that serves… as a paddle to send the ball to break bricks! 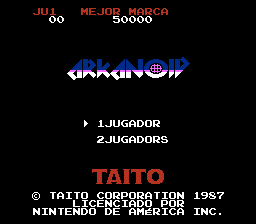 Arkanoid is considered as an evolution of Breakout. 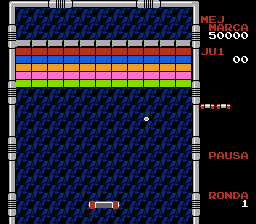 The concept is similar: make sure the ball never goes past the bottom of the screen, by making it bounce back on the “ship” that you control. 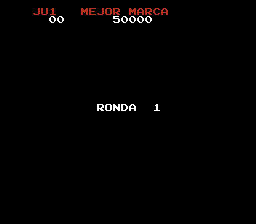 With 36 levels in stores and no continues, this is a classic game that most players with a controller in that era of time remember. 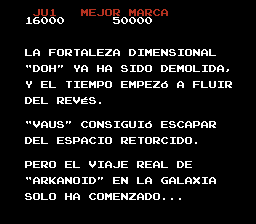 Translation to Spanish for “Arkanoid” for the NES.